The good news is that X-Men Origins: Wolverine is a lot better than the last X-Men film was. The bad news is that this overstuffed entry in the comic book mutant saga is as unwieldy as its title. No, this movie is not as bad as I expected, which kind of precludes me from poking too much fun at it. Worse than that... it's mediocre; not good enough for one to celebrate its ingenuity; not bad enough to revel in its outlandish action blockbuster hallmarks. It commits the cardinal sin of the superhero sequel - to try to top the one that came before it. And this being a prequel more precisely, it makes the same mistake as others of its ilk - to try to explain away any of the mystery about its main character which attracted us in the first place. Mystery is what has thus far defined Logan aka Wolverine (Hugh Jackman). In the previous three X-Men films, Logan, an angry mutant with remarkable healing powers, an adamantium-laced skeleton, and retractable claws, slowly started connecting the dots about his sketchy past. X-Men Origins elaborates on that, depicting a previously unknown familial relationship with Victor Creed (Liev Schreiber, played by Tyler Mane in the first film). And we get to fill in the blanks about his relationship with Stryker, played in the second film by Brian Cox, but here given a laid-back kind of menace by Danny Huston. We learn a great deal about Logan's past, from early childhood in 1845 (no explanation given in the film, but Logan and Victor age slowly due to their healing powers) through about a decade or so before the first film. We learn the first time he discovered that he possessed his deadly claws, how he acquired the adamantium skeleton, and how he lost his memory. The problem is, where does one go from here with a character like Logan once all of his mysteries are explained? What once seemed like a character with complicated motivations, becomes two-dimensional after some of the reasons behind what drives him are dealt with in such a perfunctory and superficial manner. Wait till you find out how he gets the name Wolverine, and better yet, do you really care? The movie never takes a moment to breathe, to allow some new revelation to sink in, because it is more concerned with getting to the next action setpiece or guest mutant. Why not just concentrate on Logan's story? Isn't this supposed to be a spinoff spotlighting one of the most beloved of the X-Men? Instead, they use it as a platform to launch additional mutant spinoff possibilities, like Deadpool (Ryan Reynolds). And Logan gets lost in the shuffle of inside jokes that are the supporting players. I call them inside jokes because you'd have to be well-versed in the X-Men comic book lore to know or even care who some of these characters are. It's okay to tease us with the couple of cameos by characters from the previous films, but piling on others like the Blob, John Wraith, Emma Frost, etc., gets to be a little much. X-Men Origins: Wolverine is often reminiscent of those old films touted as having an all-star cast, like It's a Mad Mad Mad Mad World (1963) or Cannonball Run (1981). Sure, it's nice to sit next to your friend and play "who can spot more actors," or in this case, superheroes. But at that point, are you really watching the movie? Well, you had me disagreeing with you from the start, as I think X3 is waaaaaay better than this p.o.s., but I agree with several of your points as to what's wrong with this particular flick. Removing the mystery is a big one, and it was the cornerstone of my review. Without Logan's air of mystery, mischief and danger, he becomes just another neurotic, whiny action hero, angst-ridden over what's been done to him, but too 'good' to do anything about it. Meanwhile, all of the pancake-flat supporting characters get to have all of the fun (at least someone got to). something that would have fixed this movie in a lot of ways: making it R-Rated. Then they wouldn't have had to try so hard to make an inherently gory story line into something that's "fun for the whole family"
But Nomad, then the producers wouldn't have made nearly as much money as they have so far. And one need only glance at 5 seconds of the movie to see that it oozes with greed for box-office dollars at the expense of respect for its fans. It's hard to fault Hood for anything but making a bad career decision. It's really the producers' fault for trying to shoehorn a bunch of potential spinoff characters into the film at the expense of the protagonist and what should be the central plot. For many of the same reasons concerning the flat characters I feel that X3 is worse than Wolverine. 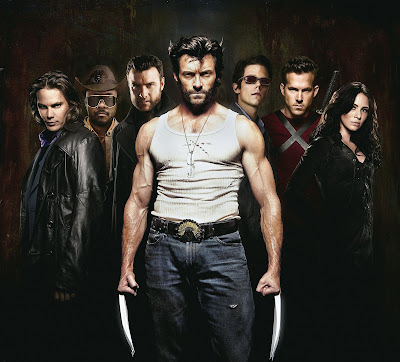 My criticism of Wolverine is that it tries to service these supporting characters at the expense of the protagonist. Well, X3 does that times 10. There, an even larger cast of long-established leads who get short shrift because of the introduction of even more mutants who barely register as cameos. I'm sure the idea was, "More mutants, more excitment," which Singer did much better in X2. But what's the point if you're going to skip past the new characters' stories, the old characters' stories, and muddle the central plot even further. At least Wolverine was clear in establishing the emnity between Wolverine, Sabretooth, and Stryker.